Sales density is a key indicator of a retailer’s performance and shows the average amount sold by square foot of store space. 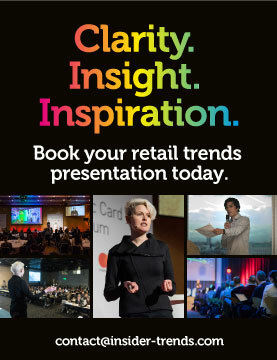 Whether it’s a brand’s ability to capture a trend, use of in-store theatre that redefines the shopping experience or the innovative use of technology that drives customers into stores, there are many things a retailer can do to maximise this metric. We take a look at 15 of the UK’s highest-performing retailers, based on sales per square foot, and what they have done to elevate themselves above the rest. No surprise here. For years Apple has maintained its position as top retailer based on sales per square foot. 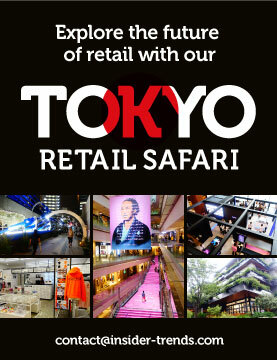 The brand continues to benefit from its high value product offering and industry-defining retail experiences with its mature store network allowing it to easily achieve higher sales densities, rather than opening new stores which need time to bed in. It’s long been said that Apple stores are the most profitable around and the brand’s approach to memorable customer experience is renowned. The company has always allowed customers to directly interact with its product line and encourages users to explore and play. This has elevated Apple stores into a place of social gathering and so much more than an electronics store. Apple’s retail success can, in part, be attributed to its willingness to refine and refresh its retail offering such as with the 2016 relaunch of its Regent Street store, the second Apple Store to get a stunning makeover, after the brand debuted its new ‘Town Square’ concept in San Francisco. New features of the design include a central grand hall filled with trees surrounded by window displays that highlight the best in photography, music and design. The square’s theatre, the Forum, hosts daily entertainment and learning events like coding with Sphero robots, creating music with GarageBand, and making movies with iMovie. “At the heart of every Apple Store is the desire to educate and inspire the communities we serve,” said Angela Ahrendts, Apple’s senior vice president of Retail. British fashion icon, Burberry, is a digital pioneer. In 2009 it was one of the first to operate on Facebook during a time when most luxury brands believed that establishing such a direct relationship with customers would be damaging. The brand continued to be a digital leader, forming marketing partnerships with leading tech companies such as Apple, Google and Snapchat and building a global e-commerce platform with a deep level of localisation. This helps to drive its in-store sales, both in terms of getting customers into the store and offering them more info once in the space to help guide their buying decisions. Technology has been woven throughout the Regent Street flagship, incorporating 500 speakers and 100 screens, including the tallest indoor retail screen in the world. Digital messages are synchronised across all screens and speakers at set times throughout the day and RFID is woven into selected apparel and accessories, triggering bespoke multimedia content relevant to the products. Store associates use iPad apps that provide purchase history and customer preferences to enable a personalised shopping experience. Burberry’s digital endeavours are designed to blend with everyday life and are much more than just a platform to facilitate online purchases. There are mirrors that can instantly turn into screens with runway footage and exclusive video, and satellite technology that enables live-streaming of events into the store. The brand was the first to host a live-streamed runway show where viewers were able to instantly purchase garments directly through the display. Britain’s biggest video games retailer, GAME, has struggled to maintain market share and profits since going into administration in 2012, forced to battle with the rise of online stores and what it has described as “a challenging trading environment.”. So how did it end up on this list? eSports video game competitions have become big business of late, with some top competitors filling arenas and taking home millions in prize money. GAME has been steadily diversifying its business models to incorporate eSports activity into its stores. Since late 2016 it has been launching ‘Belong’ gaming hubs, where customers can pay to play online games in-store, and take part in tournaments. This is based on a similar concept in South Korea, where gamers can visit any of 10,000 “PC bangs” and pay by the hour to play on top-spec PCs and the latest consoles. This endeavour has been a success. The new offering not only introduces new revenue streams and opportunities, but is giving the retailer a new audience with 20% of those that have used the Belong arenas being entirely new customers to GAME. 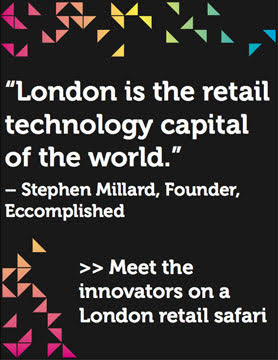 Selfridges has worked hard to create immersive digital experiences in-store that reinforce its luxury credentials. A recent investment of £300 million into its stores and website has resulted in both an increase in profits and memorable in-store theatre. One example being the denim studio, which features a six foot interactive display that allows customers to sit back and relax while browsing through the jeans collection online. This is used to enhance the sales experience and to create a comfortable atmosphere that improves its brand perception. The in-store theatre found in Selfridges, like flipping a classic Mini upside down and converting it into a headphone display that celebrates British audio, is refreshed or re-merchandised often and is designed to leave customers with a strong sense of each brand it stocks. With its Smartech Internet of Things (IoT) area dedicated to smart home and IoT devices, the retailer has demonstrated how to effectively and creatively educate customers on complex product lines. Staff in the area provide customers with curated product tours that can be booked ahead of time online. 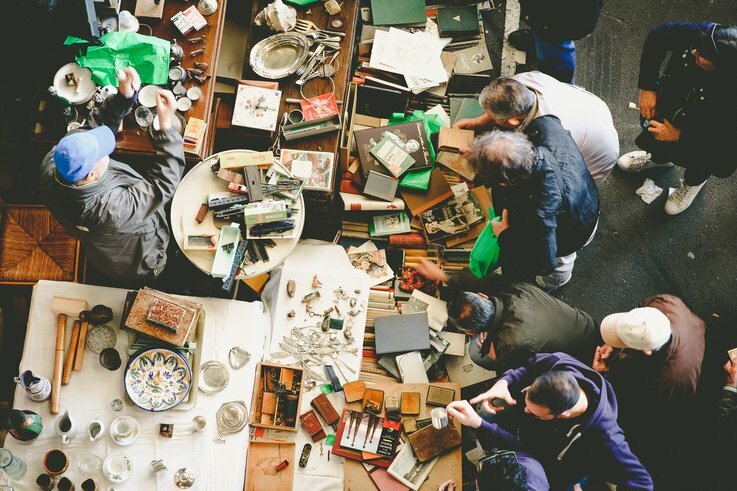 Without the pressure to buy anything there and then, customers are encouraged to play with the products to identify which would most benefit them. 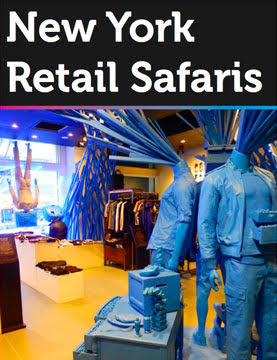 These attractions, and the concept of there always being something new to explore in-store, helps to drive traffic to the store and conversions. London department store Harrods continues to surpass expectations by offering an unparalleled shopping experience. Its high quality, luxury products and devoted customer service are renowned worldwide. Although it’s a large store, the high-price tags of many of the products help to drive up the sales figures per square foot. Harrods has developed its omnichannel offering in a unique way that transcends digital capabilities and works to connect its different departments together. As an example, the cookshop and home appliance departments provide excitement with cookery demonstrations that link in with seasonal foods in its food halls and ‘foodie’ book signings in its book department. Meanwhile, the brand’s publications and social media channels provide education and inspiration on cooking and new technology for the kitchen. Low cost, quality food is at the heart of German supermarket Aldi and its offering has proven to be popular with UK shoppers, having grown to be the 5th largest supermarket in the country. The cost of groceries began rising towards the end of 2016 after two years of falling prices and with consumer spending gravitating towards low cost alternative products, Aldi has invested “a huge amount” and has remained committed to providing customers with the lowest prices on the market. Aldi bosh Matthew Barnes described this to the BBC as a ‘contract we have with our customers’. A record Christmas pushed Aldi’s sales to over £10 billion for the first time with the retailer experiencing particular success with its premium ‘Specially Selected’ range, which saw sales increase by £26 million. The mix of quality and low prices has attracted shoppers from across different income levels, which has boosted Aldi’s audience. Word-of-mouth, and product awards from external bodies, have also encouraged customers to try Aldi. The sales per square foot are also boosted by the fact that Aldi stores are typically smaller, with a reduced product range, compared to the other supermarket chains in the UK. As a result of continued consumer interest in luxury skincare, beauty and fragrance, and a flagship store on London’s Regent Street that embraces new beauty technology and bespoke customer interaction, Space NK has established itself as one of the most desirable beauty brands on the UK high street. The retailer was an early adopter of this technology and the decision to sell unusual and unproven products has paid off. Space NK is considered a market leader in high-tech beauty products, which helps to drive footfall and sales. Its beauty stores have seen a 297% growth in sales of these types of products, by brands such as Talika, NuFACE and FOREO. UK supermarket chain Tesco has adopted a customer first strategy that has resulted in a near 700% increase in profits and an 11 point increase on the net promoter score- the largest increase in its industry. The supermarket has implemented contactless payments in all its stores and rolled out an app for its popular Clubcard loyalty programme. Tesco has committed to simplifying its product range and keeping its prices low, claiming to have 1% cheaper prices than the rest of the market with healthy and fresh food sections receiving the most attention. The more valued customer feel the more likely they are to feel positive towards a brand, and this helps bring more customers in to stores, and pushes up the sales per square foot. In 2016, Sainsbury’s purchased Argos and Habitat owner Home Retail for £1.1 billion, securing an avenue of growth in non-food, while also enhancing its online logistics operations. The company has since incorporated mini Argos and Habitat spaces in some of its Sainsbury’s stores. The supermarket has already opened over 50 Argos Digital stores that use tablets instead of catalogues to browse through products or place orders and where online purchases can be collected. It has committed to opening 250 over three years. The move to transform 60 stand-alone Argos stores to the digital format, which offers shoppers faster access to thousands of products, represents the next stage of Sainsbury’s growth plans. It also said it plans to open another 10 mini Habitats in supermarkets in its 2017-18 year, bringing the total to 17. Argos Chief Executive John Rogers noted an uplift of between 1-2% in sales from Argos customers shopping for food, general merchandise and clothing in Sainsbury’s stores. By using some of its store space to offer a wider range of products and services to customers, the company is pushing up sales per square foot. Luxury British clothing retailer, Ted Baker has always been keen to innovate and this is particularly evident in its retail stores, each one being completely unique in design. This serves as an opportunity for the retailer to reflect its whimsical personality. Its Bluewater store, for example, includes a fictional village called ‘Tedbury’ which boasts four themed shops within a shop. In 2016, it released a shoppable video directed by Guy Ritchie, that allowed viewers to click and save items featured in the short film. Its follow-up campaign, ‘Keeping Up with the Bakers’, a 360-degree shoppable film was launched by the brand and has since arrived in its stores, engaging customers in an immersive VR brand experience via branded Google Cardboard devices. Ted Baker has also expanded its product offering, moving into bath and body products, spectacles, and even a range of bicycles in collaboration with bike retailer Quella. This has allowed the brand to transform into more of a lifestyle brand than just a pure fashion brand which gives it a clear advantage over competitors like Paul Smith and French Connection. It also widens its customer range and appeal, which impacts sales. Footwear retailer Office has grown to become a staple on UK high streets with more than 150 stores and concessions in Selfridges, Topshop and House of Fraser. 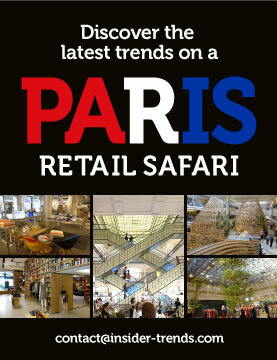 As the retailer’s popularity has grown, so has the amount of shoppers who frequent its stores. Large queues and crowded shop floors were becoming a problem that was affecting the customer experience and blocking valuable shelf space. As such, Office looked to technology to solve the issue. Mobile POS services were deployed which allow staff to process transactions on a handheld tablet to increase speed for customers while maintaining the quality of the in-store environment. Store managers have been able to devote more space for displays, while staff have not needed to waste time remerchandising layouts and shoe bays, instead focusing their attention on the customer. Popularity is one thing, but being able to properly serve everyone that comes through the doors is the key to Office’s high sales per square foot. Beauty retailer Lush is widely thought of as one of the most progressive and innovative brands around – especially when it comes to customer experience. Lush aims to offer a seamless experience for shoppers in-store, as well as one that is tailored to the brand’s own retail strategy and has invested heavily in technology to facilitate this. By replacing its regular till system with Android-powered tablets, staff are able to roam around, and allow customers to checkout and pay anywhere in the store. The brand has also utilised footfall intelligence software that mapped out the perfect customer journey which was used to merchandise its stores accordingly. Looking ahead, the retailer continues its focus on in-store tech by recently unveiling two new technologies. The first is Lush Lens – a visual search tool that allows users to discover more information about a product by identifying it with their smartphone camera, and secondly a voice-activated assistant called Lush Concierge. This lets customers ask questions like where the nearest store is and allows staff to find out information like stock levels and other inventory-related queries. With a variety of different store sizes, it’s the consistency of the Lush in-store experience and the interaction and theatre around the products in every space that helps to drive up sales. Jessops, the camera equipment retailer which used to have 200 stores, fell into administration in January 2013 as shoppers increasingly turned to online for specialist products. Peter Jones, of Dragons’ Den fame, bought the retailer and was expected to transform it into an online-only outfit. Instead, he brought it back to the high street and there are now more than 50 stores across the UK. The retailer’s renewed success can be put down to its multi-channel strategy of matching prices of products bought online, in-store or over the phone. The chain has also focused on making the in-store experience more appealing, with photography courses in some stores, as well as one-hour printing. This has helped to attract customers into the stores, where they can access expertise, rather than just buying online. Sweaty Betty, the clothing chain found by Simon Hill-Norton along with his wife Tamara in Notting Hill in 1998, sells women’s activewear through its 60 Sweaty Betty stores in the UK and concessions in department stores. To capitalise on the trend, Sweaty Betty moved into a new London flagship store, No 1 Carnaby, which is home to a cafe and blow dry bar where like-minded customers can hang out. More importantly, the move allowed the retailer to stage fitness classes that create community spirit around the brand. Customers took this even further by setting up running groups in different cities, which meet at Sweaty Betty locations. As such, Sweaty Betty is benefiting from more traffic and sales through its stores without doing anything itself, other than enabling and encouraging community. Oliver Tree opened the first Oliver Bonas store in London in 1993, selling handbags and jewellery that he’d brought back from Hong Kong where his parents lived. Since then, the company has become a nationwide lifestyle brand with 69 locations across the UK offering products from contemporary jewellery and ladies fashion to gifts, homeware and furniture. The Oliver Bonas experience is not unlike visiting a vintage shop or a flea market but filled with a variety of high-quality goods that have been carefully selected. The company now designs and curates its offering in-house to put the brand’s “own handwriting” on everything it sells. Oliver Bonas is a particular favourite with middle-class mums and its clothing line has become the biggest seller. This success has allowed the brand to rapidly expand, opening over 20 stores and concessions in the last two years with several planned throughout 2018. Want 31 ways to boost the ROI of your retail shop? Click here. Find out how we can help you identify and discover the breakout trends in offline and online retail that will put you years ahead of your competition. Get in touch here.